It's possible that you never really dabbled in the settings inside Uber, but a lot of cool stuff lives in there. 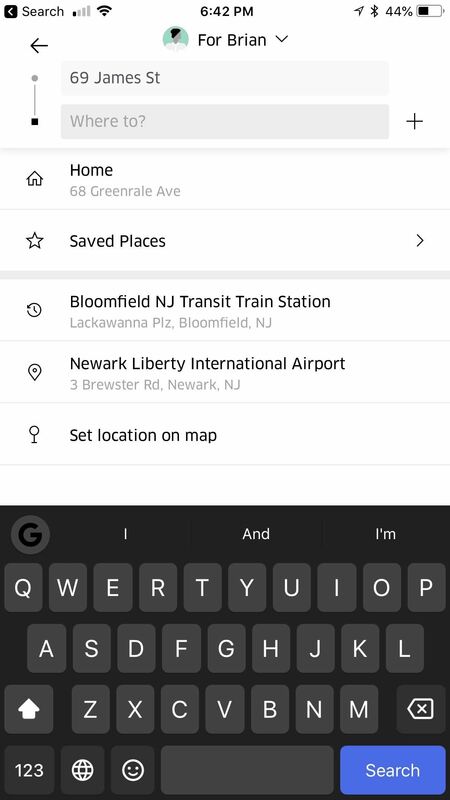 By adding favorites and other saved places, you can easily navigate to all the places you go to most often, making the whole process a lot faster. 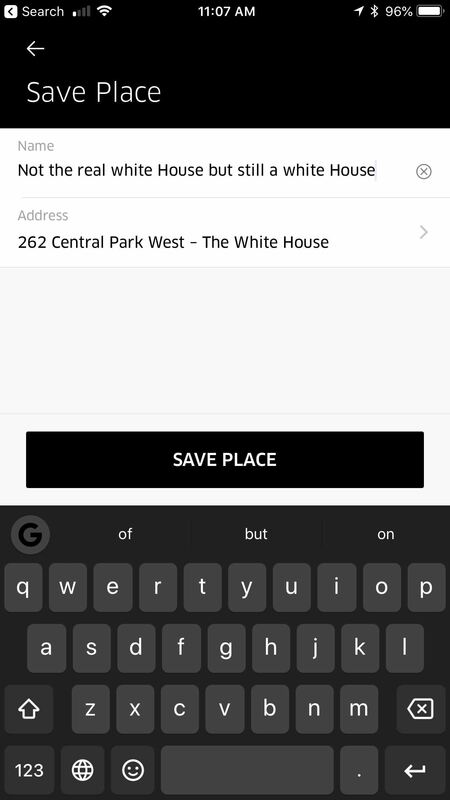 All you need to do is add the addresses to your Uber account. 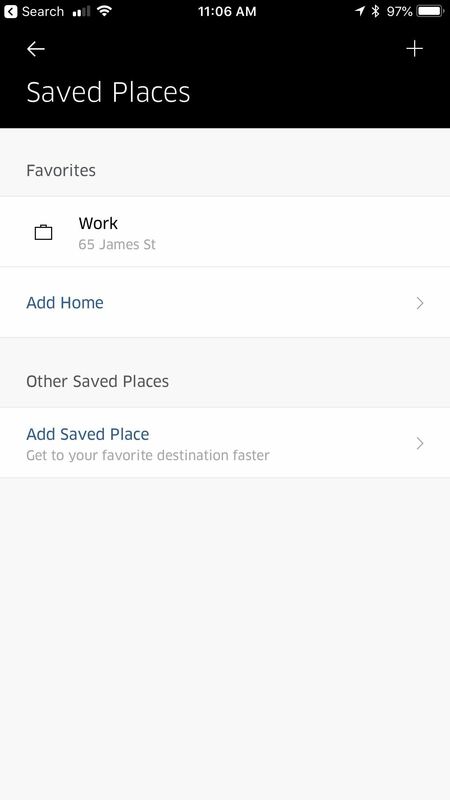 First, go to your Settings inside the Uber app (Android, iOS) by tapping the menu icon in the top-left corner, then selecting "Settings." 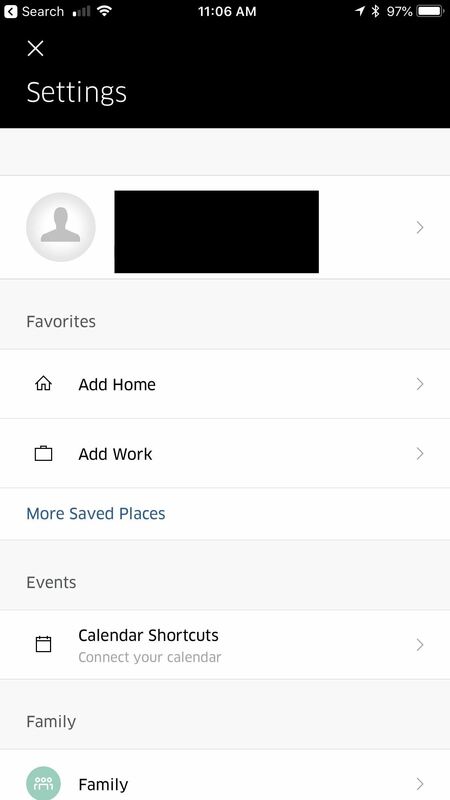 Underneath the Favorites header, you can add both your home and work addresses to your saved places. 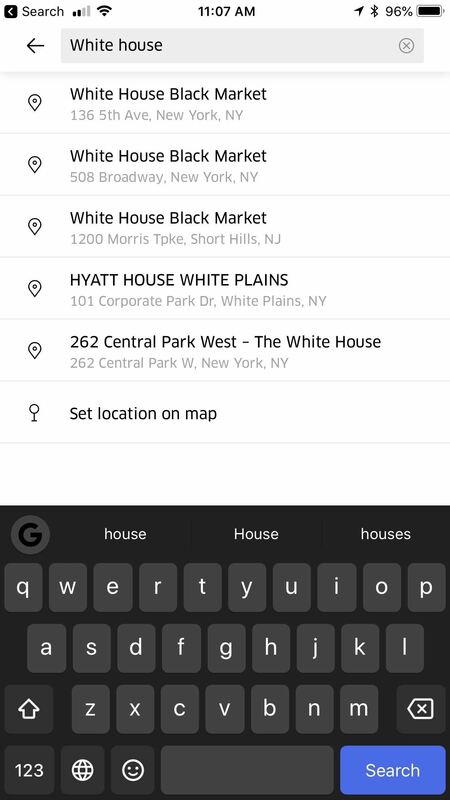 Tap "Add Home," and a list of addresses that you've traveled to recently will appear. If one of them is your home, then tap it to set it as your home. Otherwise, manually search for it and tap the result when it appears. You can add your work address in the same way. 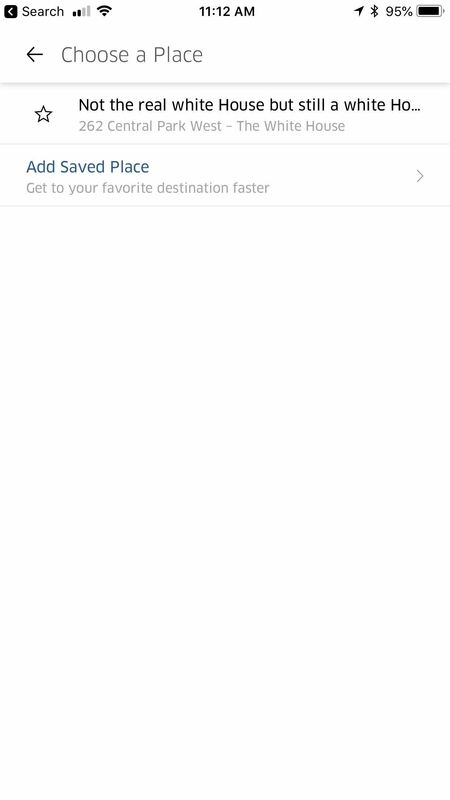 Additionally, you can add more saved places by tapping "More Saved Places." From there, tap "Add Saved Place," enter in an address, name it, and tap "Save Place" to save it. This feature is great for adding places you frequent, like bars or friends' houses. 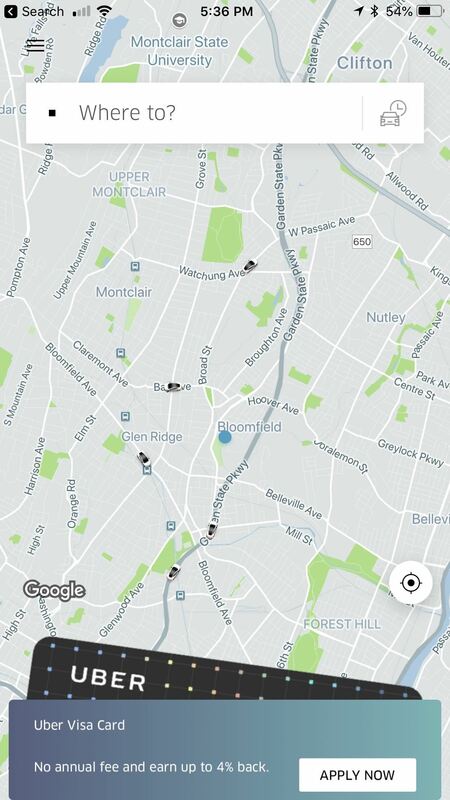 Now, once you have all your favorite locations and saved places set, initiate a ride by tapping the "Where to?" button in the middle of the main screen. Your home and work addresses will appear at the top of the list, as well as any other saved places. 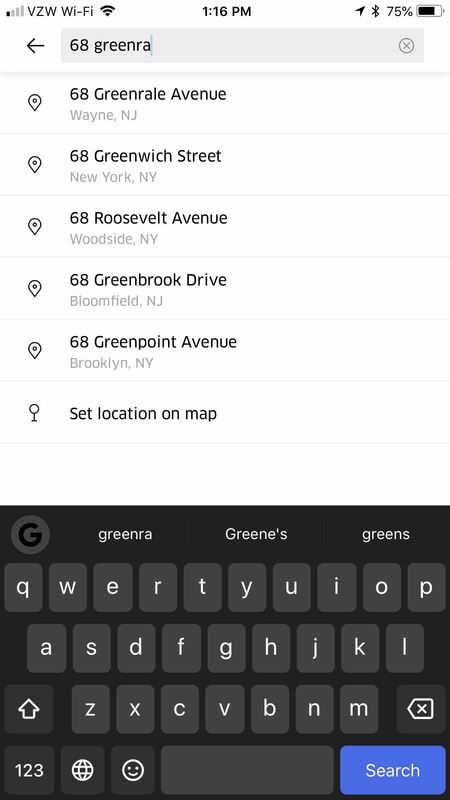 Tap either Home or Work to navigate to them, or hit "Saved Places" to expand a menu where you can select a favorite location.